Spiti's some 12,000 inhabitants, who eke out a living farming green peas and barley, have a much bigger concern: their main sources of water - streams, rivers, ponds - are drying up. 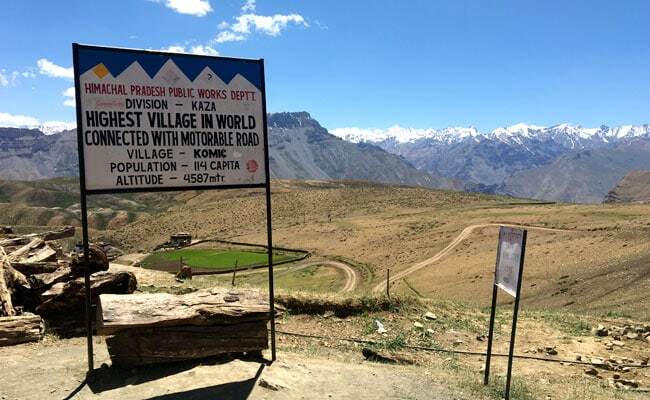 With a backdrop of the snow-capped Himalayas stretched out across a vibrant blue sky, it is hard to dispute the sign as you enter Komik that declares it to be the world's highest village with a road. Others also boast the title - from Nepal's Dho Tarap to Bolivia's Santa Barbara. But at 4,587 metres (15,050 feet), this remote Buddhist hamlet near India's border with Tibet is no doubt among the planet's topmost motorable human settlements. 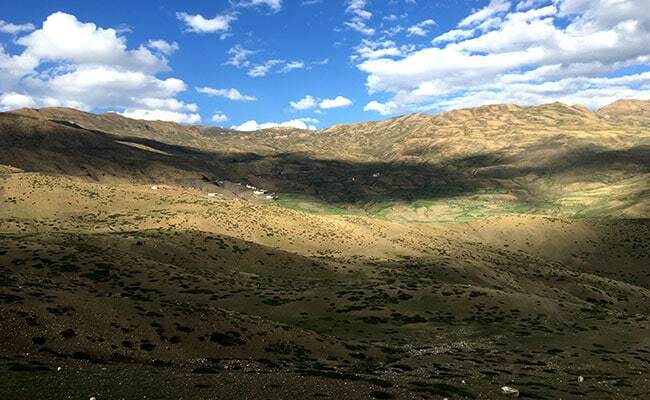 But Spiti's some 12,000 inhabitants, who eke out a living farming green peas and barley, have a much bigger concern: their main sources of water - streams, rivers, ponds - are drying up. "We are used to being in a remote place. We have our traditional ways of living," said farmer Nawang Phunchok, 32, as he sat tying bundles of a prickly desert bush together to insulate the local monastery's roof. "But these days the water is not coming like it used to. The seasons are changing. We see there is less water than before." But while government, charities and media increasingly focus on the drought-stricken farmers in the plains, their Himalayan counterparts - ironically living in a region often called the "Water Towers of Asia" - also need help, say conservationists. More than half of the country - including the breadbasket northern states of Punjab and Haryana which produce 50 percent of the central government's rice supply and 85 percent of its wheat stocks - is considered highly water-stressed. More than 50 percent of the country's wells have registered a decline in volumes in the last decade. Up to 80 per cent of rivers, lakes, ponds and streams are polluted with human waste and sewage. Over 63 million rural Indians - the equivalent of the population of Britain - do not have clean water to drink, cook or wash with, says WaterAid. Around 76 million need improved water sources and 770 million require proper toilets. And climate change is exacerbating the situation. "The government also needs to undertake severe measures to regulate and monitor the use of groundwater resources." 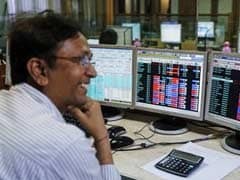 India is forecast to overtake China as the most populous nation with 1.7 billion people by 2050. With rapid urbanisation, rising demand for hydropower and changing weather patterns, the situation is set to worsen. Government data forecasts India's annual water availability per person to drop by over 25 percent by 2050 to 1,140 cubic metres from 1,545 cubic metres in 2011. But environmentalists say the focus is largely on India's plains - where populations and farm outputs are higher - neglecting those living in the far-off, sparsely populated Himalayas. Experts say the food, water and energy security of not just the people here - but over one billion others across Asia who depend on rivers such as the Yangtze, Ganges and Mekong, which are fed by Himalayan glaciers - is at stake. Yet the Himalayas are one of the world's most sensitive hotspots to climate change. Melting glaciers, erratic rainfall, less snow and rising temperatures are taking their toll. And Spiti Valley is clearly showing the signs. "In 2015/16, there wasn't enough snowfall and so when summer came, the springs - which are the main source of irrigation for people - were all dried out. 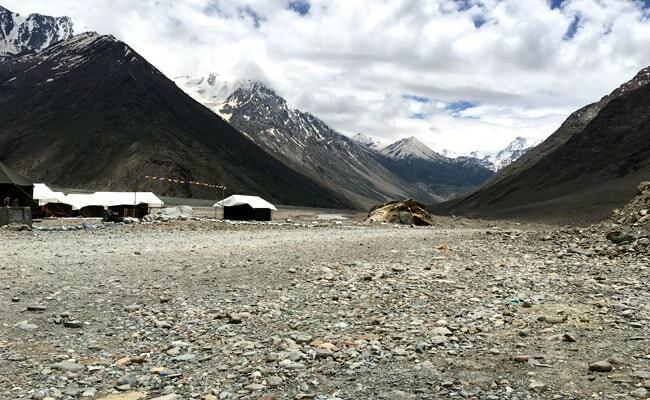 There was hardly any crop," said Ishita Khanna at Ecosphere, an eco-tourism company in Spiti Valley. Translated as the "Middle Land" - referring to the land between India and Tibet - Spiti is dotted with stupas and centuries-old monasteries perched on crags. 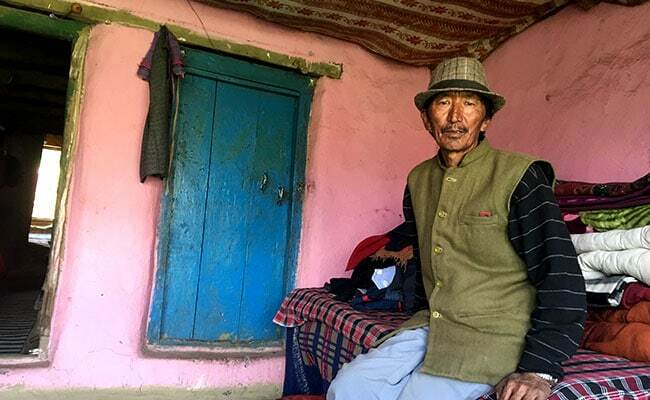 "We thought the road would bring us more prosperity in terms of tourism and trade, but it has been disappointing," said 55-year-old farmer Tenzin Andak from Komik. "It is a worry for us. Life is getting more difficult these days, partly because there is less water," Mr Andak said, as he took down some clothes hanging from a washing line outside home. 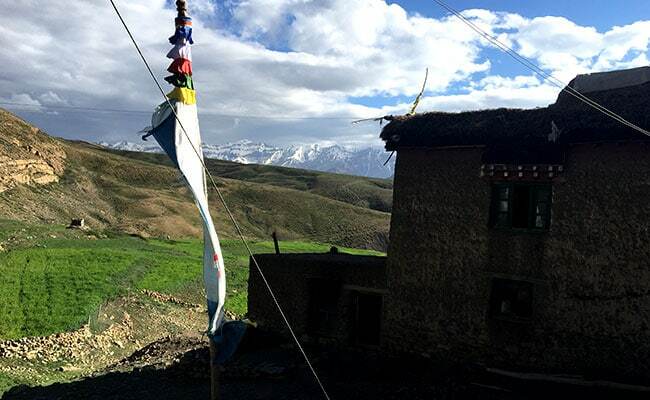 Spiti's water comes from snow - snowfall provides the moisture for farming and pastures for livestock rearing, while snow melt from glaciers feeds the streams and rivers which are the lifeline of these settlements. And unlike in other parts of India where there are two farming seasons to plant and harvest crops, in Spiti there is only one - leaving farmers more vulnerable if one crop fails. Their main form of irrigation which are "kuls" - man-made channels running from glaciers to village ponds - are dry. As a result, sheep and goat herders have to trek higher to find grazing land and crops are much harder to cultivate. A 2014 study by Jawaharlal Nehru University cited annual temperatures in the Himalayas rose by up to 2 degrees Celsius over two decades, while the area of glaciers here have reduced by 13 percent over five decades. "There is no doubt there is a big water crisis here," said Sub-Divisional Magistrate Arun Sharma, the senior-most government official in Spiti. "We've put in place a lot of projects such as providing water tanks and constructing water catchment areas, but we are limited by the weather. For six months of the year, life stops as we are snowbound and we cannot do any major work."